In 1976 the “Stichting Nederland-Sri Lanka (Ceylon)” (Netherlands-Sri Lanka Foundation) was founded in The Hague in order to raise funds for the restoratio n of the former VOC-orphanage building located in Prince Street, Pettah in Colombo, Sri Lanka. A successful campaign and fund raising, by a certain Evert Jongens and other supporters in the Netherlands and Sri lanka, led to the renovation of the building. In 1982 the building was opened and put to function once again but now as the Dutch Period Museum. The opening ceremony was performed by the then president J.R. Jayewardene. This was the beginning of the now more than 40 years of activities of the Netherlands – Sri Lanka Foundation. In the early years, in order to strengthen and ensure the continuity of activities, the foundation concentrated on co-founding the Netherlands Alumni Association of Lanka (NAAL) in Sri Lanka. The members of NAAL were persons who had followed international post-graduate and other professional courses in the Netherlands. At present the association has over 500 members. 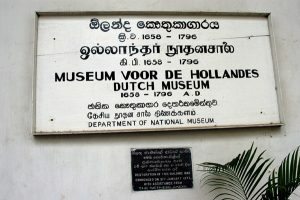 NAAL is officially housed in the Dutch Period Museum in Pettah, Colombo. In 1976 the foundation was also instrumental in creating the twinning between the municipalities of Velsen in the Netherlands and Galle in Sri Lanka. This twinning programme proved to be a great success. This is reflected in the several projects that were successfully implemented. 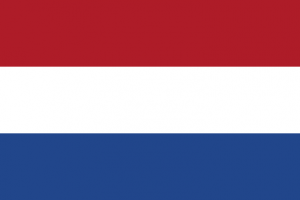 Recent public policy changes in the Netherlands have led to the closure of this twinning programme. Over the past 40 years the foundation has initiated and implemented several projects and activities related to social, economic and cultural aspects. Since the early 2000 the activities of the foundation were slowed down due to the maturity of several board members. In 2017 a decision was made to revitalize the board and to reconceptualize the activities of the foundation. Thereby continue to strengthen the linkages between the Netherlands and Sri Lanka, with the aspiration of Sharing the Past and Shaping the Future.